Viasat 1 Ghana in collaboration with Brand Woman Africa is on a quest to explore and celebrate women through the power of the Beauty, Fashion and Style Industries in Africa. Take It To The Streets, is a Makeover show, which combines both the light and entertaining aspect of effects of professionally styled Hair, Clothing and Make Up, with the in depth essence of Dreams and the quest to achieve and accomplish them. In its first season, 13 women have been nominated by friends and family who believe they need a Make Over, just by virtue of the fact that they are beautiful on the inside and need some help seeing their outer beauty. Season One is hosted by Ghanaian International Supermodel Belinda Baidoo, whose own personal story of having a dream and forcefully chasing after it on the streets of Accra, Milan, New York, Paris , London and many more cosmopolitan cities, lends itself to the essence of appreciating oneself a lot more. The episodes combine location and studio filming, in which the women are transformed, followed by a brief discussion where Belinda tries to support them in realizing their dreams! Belinda is ably supported by six promising industry professionals – Sandi Owusu, Karen Kane, Selina Apau-Asante, Shirley Ann Owusu and Ashiakie Momo. Off the success of its own productions such as The One Show, This Morning, Boys Boys and A Day in the Life, Viasat 1 has began looking at a wide spectrum of TV production possibilities which combine social issues with entertaining elements. “The launch of Take it To the Streets falls in line with our plan to continue to deliver exciting and innovative programming across the continent of Africa. The show is created to be short, sweet and impactful. We have developed stories from people from all walks of life, with varied stories but the same essence. We hope that every episode will indeed tell its unique story of success packaged with what we as Africans love the most – beauty, fashion and wellness. The Beauty of Africa right now is that everyone is watching us. The world is calling us the EMERGING market because we have so much promise. So as Viasat1, this is a way to make a contribution in an entertaining way!” says Sadiq Abdulai Abu, Executive Producer, Viasat 1 Ghana. The Series format is being created and developed by Anita Erskine’s Brand Woman Africa. “Over the last two years, I have become so passionate about producing socially conscious television programming. The reality is, I’m consistently surrounded by elements of Africa that make me excited about where the continent is going. At the same time there are issues I feel we must all boldly face and speak openly about. Now is the time. 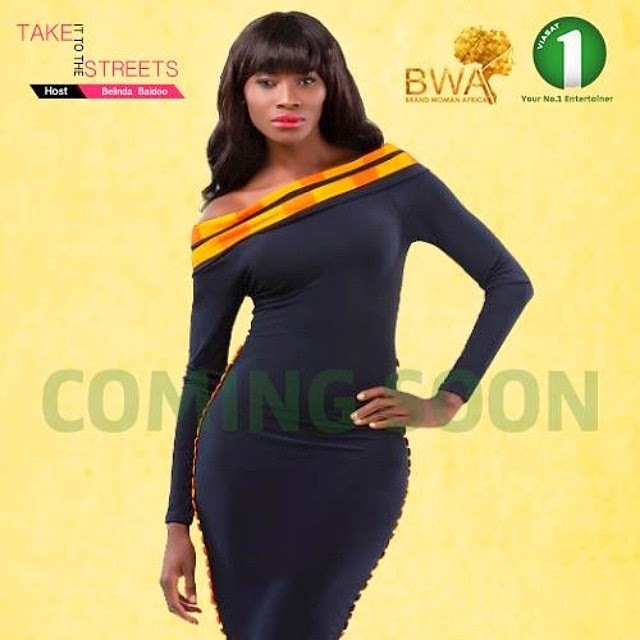 “Take It To The Streets” premiers on Viasat 1 on Sunday April 27 2014 at 20:00pm GMT.